When it comes to extreme weather, Young Farmers are used to braving wintry conditions. Schools may be closed and some Club nights cancelled, but in much of the country farmers are battling on through inches of snow and on icy roads. Members have been actively tweeting about the white stuff and posting photos. James went on to create a tractor out of snow, which has received over 40 likes on Facebook and has been re-tweeted more than 17 times. 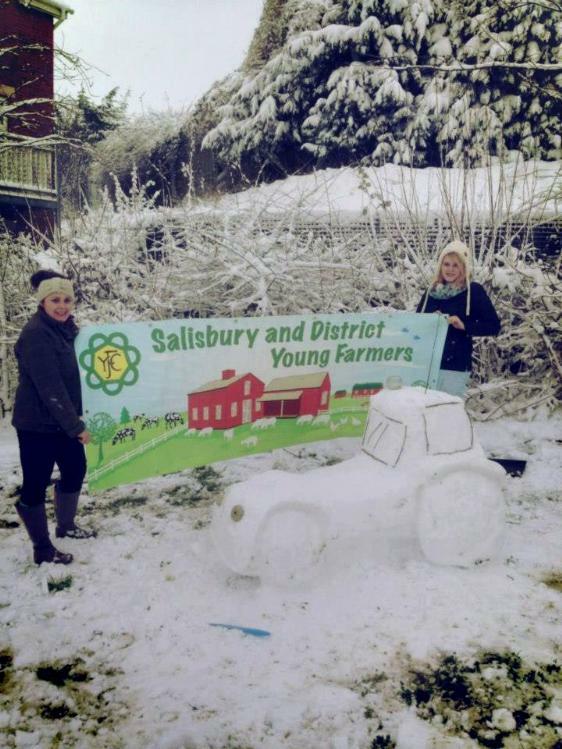 Salisbury YFC also crafted a tractor in the snow and advertised their club at the same time. Verity and Lydia Chance-king and Mary Elizabeth Walden created the snow art and held a Salisbury banner up for the photo. It wasn’t just about building creations in the snow though. Salisbury also demonstrated what Young Farmers are all about by digging in to help their local community. Members got out their shovels to clear the road near the Swan Inn in Stoford. The NFYFC Twitter feed has been helping local clubs share messages about event cancellations as well as sharing winter driving tips. Get more information about Drive it Home yfc here. Clubs are being encouraged to lobby their local councils on how funding should be spent on road safety improvements after the NFYFC met with the Road Safety Minister to discuss the new Drive it Home campaign. NFYFC Chairman Milly Wastie, Youth Officer Jodie Green and Mark Spencer MP met with Road Safety Minister Stephen Hammond MP to discuss the issues affecting young people who live and work in rural communities. They highlighted the need for rural roads to be part of the training and testing for a driver’s licence. NFYFC also suggested a scheme where young drivers could gain further driving certificates following on from their initial test. As a result of the meeting, NFYFC have been offered opportunity to input into future Government consultation on road safety. Statistics show that rural young drivers are 37% more likely to have an injury collision on a rural road than those who live in an urban area. 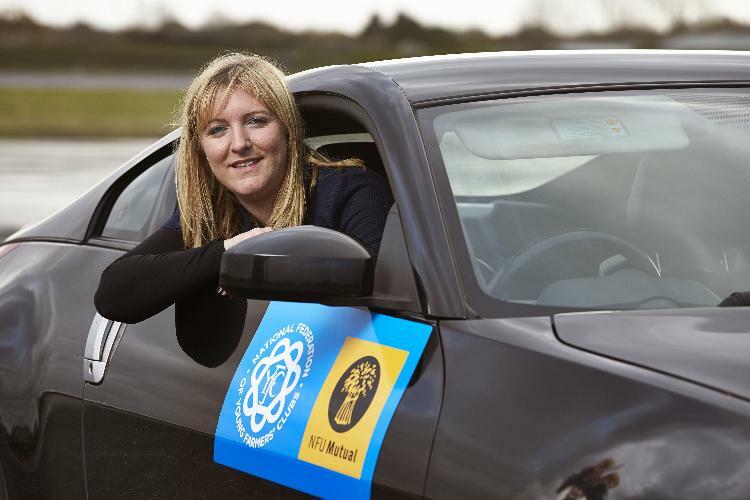 Milly Wastie, National Chairman of NFYFC, said: “Statistics show those who live in a rural area are more likely to be involved in a road collision than our urban counterparts so our campaign is aimed at educating our members – and other young drivers – about the dangers on rural roads. “The driving test needs to reflect the area in which you live and work and young drivers need to be proficient in handling the different challenges of rural driving. The Minister urged clubs to lobby their local councils on how funding for road safety improvements should be spent. Road Safety Minister Stephen Hammond said: “Improving the safety and ability of young drivers is a key priority for the Government so I am pleased to support the National Federation of Young Farmers’ Clubs new campaign. “We are looking at several ways to make the roads safer for young drivers, including making the driving test more realistic and considering how to improve training for drivers after they pass their test. We are also working with young people, the insurance industry, and other key partners to identify what more can be done to ensure that newly qualified drivers are properly prepared and drive safely. Get a grip with half-price driving courses! YFC members can now book on the fantastic Drive Doctors practical driving experience, as part of the Drive It Home campaign. The first of four courses takes place on 23rd February and 200 places are kindly part-funded by NFU Mutual – meaning YFC members pay just £45 for a half day session! This exclusive 50% discount will be available to six members from each county, but there will be a reserve list if there are still spaces available. 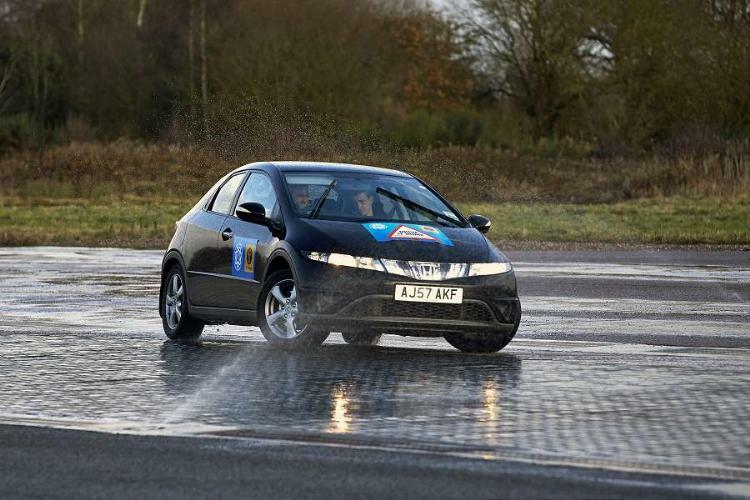 During sessions, members will get to drive their own car on a wet-grip activity learning how to control a vehicle if it slips on ice, snow or mud, as well as perfecting their off-road driving. All of the driving instructors for these fun, interactive sessions are young racing drivers who are experts in car control and safety. "I think the wet grip course is really going to help a lot of people, it’s good to know what to do when a skid happens and it's a fun way of learning as well." Drive Doctors was founded by two race driving instructors who are using their motorsport skills and applying them to real life scenarios on the road, with the aim of keeping people safe. Courses take place at the Pro Drive centre in Kenilworth, Warwickshire. Visit www.nfyfc.org.uk/driveithome and click on the 'resources' tab to find out more about the courses or contact Christina.evans@nfyfc.org.uk to book a place! Check out more pictures of YFC members testing out the wet-grip activity on our Facebook page. Sir Jim Paice MP met with NFYFC Chairman Milly Wastie and members of Cambridgeshire FYFC today, to offer his backing to NFYFC’s rural road safety campaign, Drive It Home. 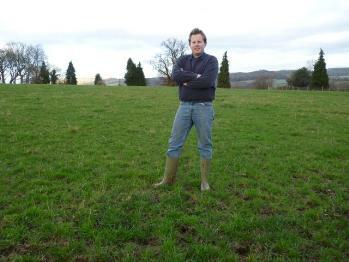 The campaign, which was launched in November, is supported by leading rural insurer NFU Mutual. The former YFC member, and current MP for South East Cambridgeshire, is supporting the campaign, which aims to educate young people about driving safely in rural areas. His support is particularly relevant after statistics reveal that young drivers in five of the six districts within Cambridgeshire are involved in more injury collisions than the national average. The shocking figures, taken from a 2012 Road Safety Analysis (RSA) report show that young drivers from the Fenland District are 108% more likely to be involved in an injury collision than the national average. “My reasons for supporting the Drive it Home campaign are simple: too many of our young people are being killed or seriously injured on rural roads in Cambridgeshire. In my constituency alone 137 young people were killed or seriously injured on the roads between 2005 and 2011. 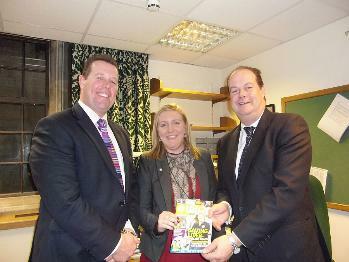 A press release about Sir Jim Paice meeting NFYFC members can be downloaded here. This weekend ten YFC members will be topping up their talents and boosting their CVs on the NFYFC Train the Trainer course. This internationally recognised training course helps YFC members improve their leadership and team working skills giving them an advantage in college, university or job interviews. 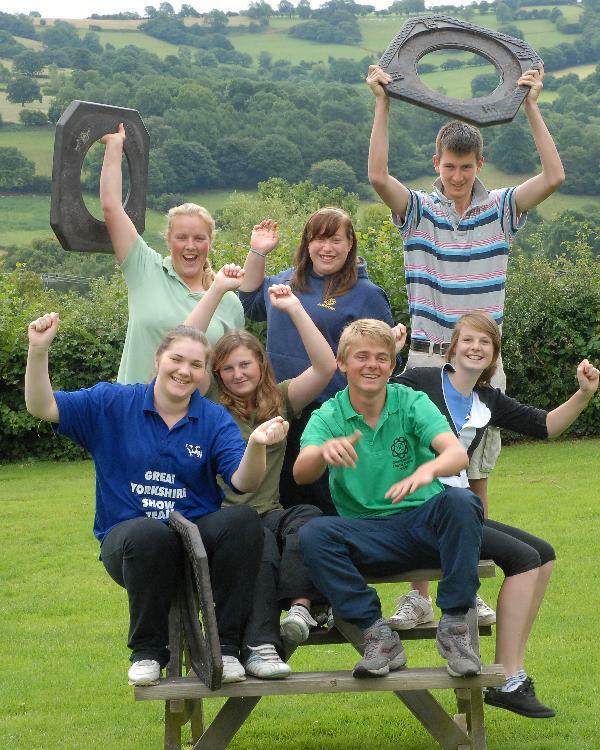 Becoming a YFC trainer also means you can get involved with ‘Curve you Enthusiasm’ a brand new competition all about getting Young Farmers trained up to deliver the fantastic ‘Curve’ courses to the rest of their county. To read more about NFYFC’s brilliant training courses check out p23 in the latest edition of Ten26. If you’re interested in booking on a Train the Trainer course, the next one takes place in Huddersfield on 25th-27th January. Click here for more information or to book a place. Passionate members of NFYFC will be leading discussions on the issues that affect young farmers at tomorrow’s Oxford Real Farming Conference. Russ Carrington, Katherine Sealy, Matt Sharp, Chris Bateman and Victoria Hicks are all active members of YFC and work within agriculture. They will lead a panel discussion and question and answer session, covering topics such as the barriers for new entrants into the farming industry and the role of social media in today’s agriculture. “With rising world population, Britain has a massive opportunity to grow and export more food, and to do so sustainably. So we need to encourage new blood into the industry. If you would like to attend the YFC panel discussions, you can book your tickets for the Oxford Real Farming Conference at http://www.oxfordrealfarmingconference.org/booking.html.